Storage and delivery can add significant costs and energy inefficiencies to the use of hydrogen as an alternative fuel. Like other alternative fuels, hydrogen must be transported from the point of production to the point of use. It also must be safely compressed, stored and dispensed at refueling stations or stationary power facilities. Due to its relatively low volumetric energy density, transportation, storage and final delivery to the point of use can represent significant costs and energy inefficiencies associated with using hydrogen as an energy carrier. Approximately 700 miles of hydrogen pipelines are currently under PHMSA regulatory jurisdiction. Gas pipeline integrity management requirements were added in 2003. PHMSA’s research and development (R&D) focus is mainly on addressing hydrogen effects on steel pipelines. PHMSA has an important role in enabling a transition to a “hydrogen economy” in the United States. Numerous technical, cost and institutional challenges must be met if hydrogen is to significantly contribute to the nation’s energy requirements. Government agencies, many large and small private companies, and other organizations are making large investments with the intention of addressing these challenges. These investments are being made in the context of scenarios that hydrogen could be a competitive energy carrier with a growing share of major energy markets by the year 2020 or shortly thereafter. Where will hydrogen be produced? Where will it be consumed? Will we need more transmission lines or distribution lines to transport it? Can and will the current natural gas pipeline infrastructure be used? How would a new hydrogen pipeline network be permitted? To enable the introduction of hydrogen as an energy carrier, a key initial focus of PHMSA is on research challenges for hydrogen delivery through local distribution infrastructure for refueling stations and stationary power sites. In a parallel effort, the DOE, Office of Energy Efficiency and Renewable Energy (EERE) is conducting R&D to improve the reliability and lower the cost of hydrogen compression and to reduce the cost and footprint of hydrogen storage. PHMSA is working with EERE to lower the cost and energy use of the hydrogen delivery infrastructure. This includes: developing improved, lower cost materials for pipelines; breakthrough approaches to hydrogen liquefaction; lighter weight and stronger materials and structures for high pressure hydrogen storage and transport; and novel low-pressure solid and liquid carrier systems for hydrogen delivery and storage. Having adequate codes and standards for all aspects of a “hydrogen economy” is a major institutional barrier to deploying hydrogen. Enabling a hydrogen economy will require new consumer products, new model building codes and equipment and other technical standards. These will require approval from various federal, state, and local government agencies. The Federal Government is working with standards organizations to identify those codes and standards, to facilitate the development of such standards, and to support publicly available research and certification investigations that are necessary to develop a basis for such codes and standards. The public has a large stake in the uninterrupted movement of commodities throughout the nation. As the hydrogen economy moves from concept to reality, and the public grows to depend on hydrogen availability to meet significant power and/or transportation energy demands, the ability to safely and reliably transport and store larger quantities of hydrogen will become increasingly important. Where hydrogen is made will drive the required pipeline infrastructure configuration. Currently there are less than 1,000 miles of hydrogen-supplying pipeline, almost all of which serves industrial demand and through which hydrogen is transported at constant, relatively low pressure. Confidence in the design, materials of construction, and performance of hydrogen pipelines must be assured as the hydrogen transportation system grows. This includes the ability of the hydrogen infrastructure to withstand both natural and man-made risks, which is a major PHMSA interest area. The following research, development and testing of current materials, engineering designs and systems, and evaluation activities are required to support industry standards and related PHMSA regulations for the transport of hydrogen by pipeline. Investigate the correlations among pressure, temperature and loss of mechanical properties for pipelines used to transport hydrogen. Loss of mechanical properties due to pressure and temperature interactions can lead to failure. Research and testing are needed to provide more definitive guidance for codes and standards developers. Development of improved knowledge base and understanding related to transport of compressed hydrogen at pressures above 2,500 psi. This must include the development of improved knowledge base and understanding related to transport of liquefied hydrogen and effects of hydrogen purity. Investigate and validate the loss of fatigue resistance and impact strength in pipelines. Research is needed on fatigue crack growth. Research and testing to improve understanding of the entire pipeline system using high strength steels to enhance performance in a hydrogen environment. Assessment to understand the effects of hydrogen on pipelines currently in use, such as those now used for transporting oil and natural gas. 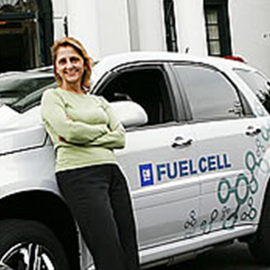 In 2006 the DOT, Research and Innovative Technology Administration (RITA) funded a study entitled “Hydrogen Infrastructure Safety Technical Assessment and Research Results Gap Analysis”. The study report is available online. Not all gaps identified in the report fit within PHMSA’s mission. PHMSA considers that future hydrogen research should be coordinated with the American Society of Mechanical Engineers (ASME) since they are crafting a new piping standard to address hydrogen transportation issues. 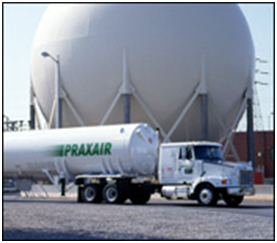 For information on PHMSA R&D related to hydrogen, please visit https://primis.phmsa.dot.gov/matrix/prjQuery.rdm. Unselect all filters; then, select the filter for “Subjects/Threats” and using the drop down box, select “Hydrogen” from the list. This will itemize all related projects. Explore the following links to learn more about hydrogen fueling stations and related codes and standards. H2 Incidents: Hydrogen Incident Reporting Tool – This Web site records events involving hydrogen and hydrogen-related technologies. H2 Safety Best Practices – This Web site compiles best practices for hydrogen safety. Hydrogen Distribution and Delivery Infrastructure – This fact sheet provides an overview of hydrogen fuel distribution and delivery. Hydrogen Fueling—Coming Soon to a Station Near You – This fact sheet provides an overview of hydrogen fueling station permitting, codes, and standards. Hydrogen Production – This fact sheet explains the basics of hydrogen production technologies. Hydrogen Safety – This Department of Energy Web site offers hydrogen first-responder training and a hydrogen safety bibliographic database. Hydrogen Safety – This fact sheet summarizes the properties of and safety issues associated with hydrogen. Hydrogen Storage – This fact sheet provides an overview of hydrogen storage technologies.